Documentarian Ken Burns refers to it as "the Address." A group of Vermont students and teachers who know the speech exceptionally well just call it "the Gettysburg." Whatever name it's given, Abraham Lincoln's 1863 Gettysburg Address is indubitably one of the most important documents in American history. Burns' new film shows how that 10-sentence, two-minute speech remains relevant today. Burns' subjects are the 50 students of Putney's Greenwood School, a progressive institution for boys aged 11 to 17 who have what the school calls "learning differences." Every year since Greenwood's founding in 1978, its students undertake to study, memorize and deliver the Gettysburg Address. For them, the successful performance of the speech is a badge of honor and a rite of passage. For Burns, it's the inspirational — and fundamentally American — source material for his new film, also simply called The Address. Known for his passion for American history, Burns, a resident of nearby Walpole, N.H., was asked about 10 years ago to judge the speech competition at the Greenwood School. Out of neighborliness and curiosity, he says, he accepted, not knowing how emotional the event would be. "I was moved to tears," Burns says in a phone interview with Seven Days. "I kept coming back. I was drawn inexorably to the inspirational power of these boys and the work they do." The more inspired he got, Burns says, the more compelled he felt to make a film about the subject, even though he knew the topic demanded a filmmaking approach quite different from his signature style. That style, familiar to anyone who's seen Burns' acclaimed PBS documentaries such as The Civil War or Baseball, involves frequent and creative use of archival photographs and letters. By contrast, The Address employs a cinéma vérité style: camera operators working as unobtrusively as possible to capture "fly-on-the-wall" happenings as they unfold. The style of the film is not "pure cinéma vérité," Burns notes, in that it employs voiceover narration (read by Greenwood students) and a musical score. But such labels don't seem to concern the filmmaker, who is much more interested in the ways that this 150-year-old speech resonates with the educational struggles of the students at the Greenwood School. "The Address itself is so supremely, superbly important to us to this day," Burns says. "It's our operating system. The Declaration of Independence was Operating System 1.0, but Thomas Jefferson owned other people. The Gettysburg Address is our Operating System 2.0, and we haven't replaced this one." For Burns, the Gettysburg Address isn't a metaphor for the Greenwood students' achievements but something more. "The struggle of the boys is directly related to the 'new birth of freedom' that Lincoln was talking about," he says. The Address was shot at the Greenwood School from November 2012 to February 2013. Both Burns and Greenwood headmaster Stewart Miller use the term "embedded" to describe the way the small film crew integrated itself into the school's daily goings-on. "Because of who they were and how they interacted with the students," says Miller in a phone conversation, "this film crew really became part of our Greenwood family. What started as a pretty intimidating experience — having a camera around everywhere you go — became really normalized." Miller adds, "I believe the film is reflective of our true culture and community and our true day-to-day life. It's a huge testament to Ken and his crew. It's a remarkably accurate representation." The headmaster is especially sensitive to the matter of the media representation of Greenwood students. 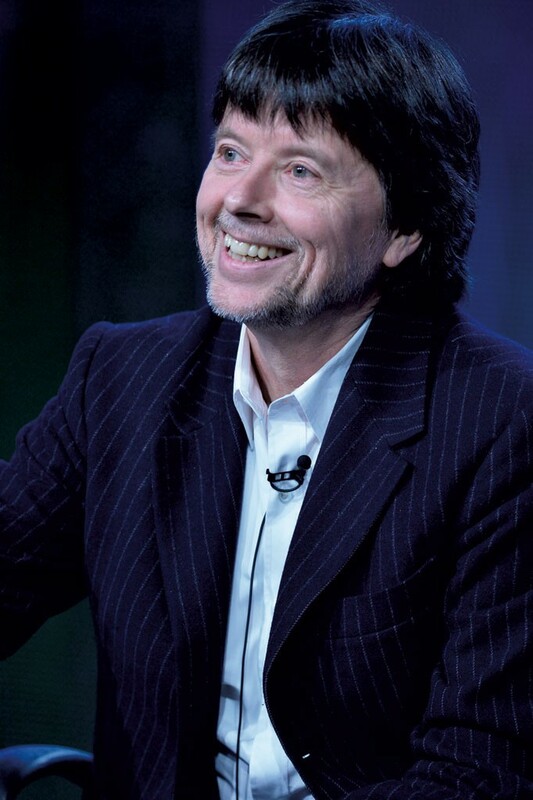 After he discussed with students, staff and parents whether the proposed documentary was a good idea, they arrived at a decision, he says: "If we're going to trust anybody, we're going to trust Ken Burns." The Address itself draws its strength from its depictions of the students, many of whom are daunted by the task of learning and reciting such a momentous and eloquent oration. Burns calls particular attention to a moment in the film when a highly articulate student named Ian has a "meltdown," yet is the first to congratulate his friend Ned when the latter overcomes his own difficulty with the speech. "You can't write that," says Burns. "That's what's so beautiful about these boys." Burns' latest project has another Vermont connection: The Address will premiere at the Latchis Theatre in Brattleboro on Wednesday, April 2, with the filmmaker present. The same theater has premiered several of Burns' earlier films. The connection between Burns and the Latchis has the same core as that between Burns and Greenwood: good old-fashioned neighborliness. Though he lives across the state line, the filmmaker refers to the Latchis as "my neighborhood theater." Gail Nunziata, managing director of Latchis Arts and the Latchis Corporation, is delighted to have Burns as a neighbor. "Ken is really amazing," she says. "So talented and so passionate and so articulate. Whenever we get the opportunity to host him on the stage, we clear the decks and make it so." She adds, "I think we understand each other as far as knowledge of what we're trying to achieve here, which is to become a community-building resource, more than an entertainment venue." Inspired by Greenwood's Gettysburg Address project, Burns has launched a "Learn the Address" initiative. This ongoing project, which has already received a good deal of media attention, is designed to highlight the importance of the Address by soliciting readings from public figures. So far, videos have been submitted to learntheaddress.org by Barack Obama and every living former U.S. president; by media figures such as Gwen Ifill and Wolf Blitzer; and by entertainers including Whoopi Goldberg and Rita Moreno. Burns and the crew of The Address committed to learning the speech, as well. The Greenwood School is using the occasion of the film's release to broaden its own learning initiative. Miller says it has teamed up with 13 other American schools "with similar missions" to hold a national competition for the delivery of the Gettysburg Address. "It's a wonderful way to bring an even larger group together," says Miller. "We're breaking down preconceived notions about what it means to have a learning difference. What these kids do is truly heroic."